Amber Heard is speaking up about her experience with domestic violence in a tearful new PSA video for the #GirlGaze project. 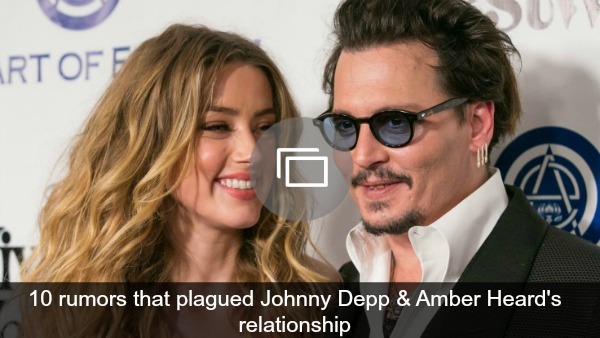 Earlier this year, Heard made headlines with abuse allegations against ex-husband Johnny Depp. The couple’s lengthy, highly publicized divorce battle ended when Depp agreed to pay Heard a $7 million divorce settlement, which she requested be donated to the ACLU and Children’s Hospital of Los Angeles. “Violence against women is not limited to actual physical violence. It is also about how we deal with it and how we talk about it in the media and in our culture. And us taking responsibility for it is what really needs to change. We need to take responsibility for how we talk about these things,” Heard said in the PSA. “It’s the only way that people are going to feel comfortable coming forward, raising their voices and standing up for themselves is if we change the system in place that keeps them quiet.